Bring your favorite design ideas to this sought after ground floor corner unit at Sandpebble on Hutchinson Island and make it YOURS! 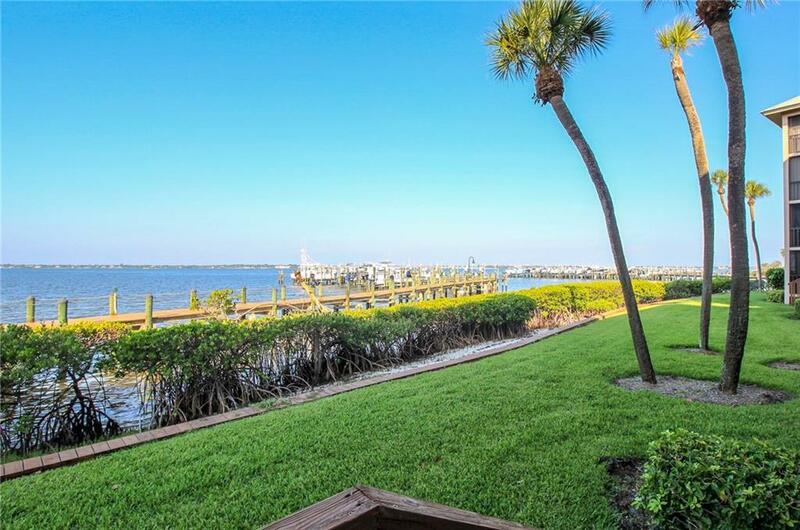 A gorgeous wide water view of the Intracoastal & community marina await you from the spacious screened in patio as you enjoy the subtle sound of rolling waves. 2018 A/C system, 2014 accordion shutters for the porch & 2013 water heater provide additional peace of mind; the flowing split floor plan offers unlimited potential and will allow you to create your very own slice of paradise. Sandpebble features 5 pools, 3 docks w/ boat slips for lease, tennis & private beach access in a relaxing, beautiful and well maintained environment. Take in the views & enjoy island living at its BEST!